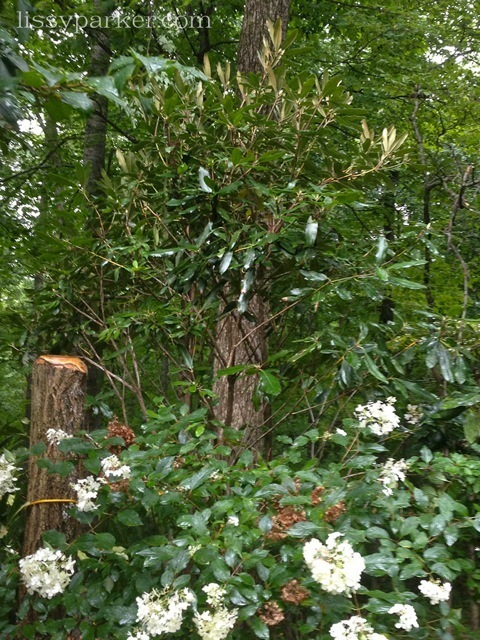 Operation rhododendron relocation was a success. Here’s a little update for you. 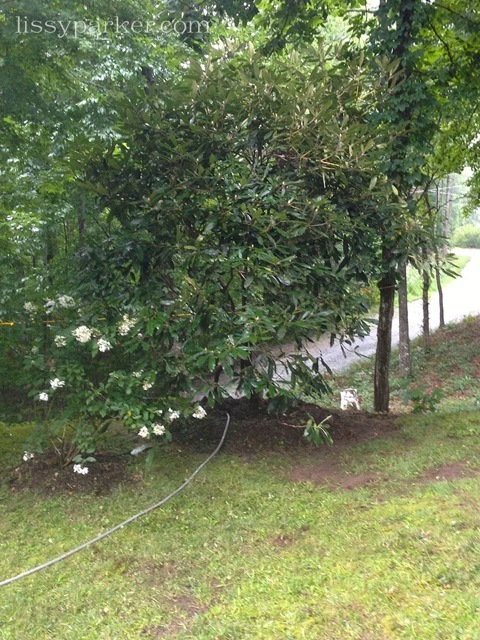 The 15′ rhododendron is doing well and adjusting to it’s new location. All of the transplants have been staked, wrapped, composted and mulched to perfection. 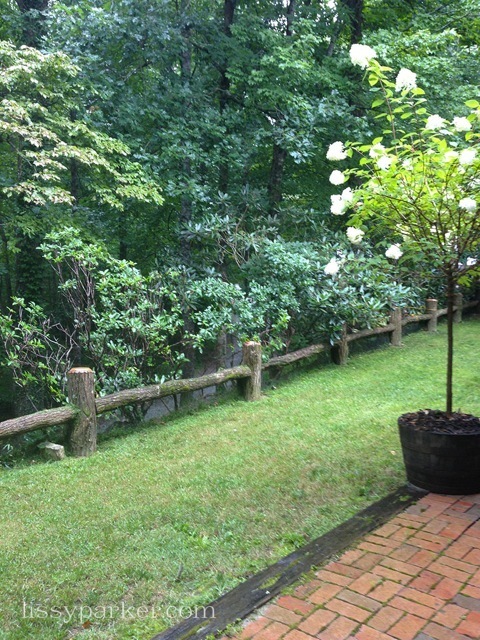 We needed serious stone work to hold the steep slope in place in front of these beautiful green gems. We used the stones from the old fireplaces that we removed during the renovation. I guess that ‘green’ and thrifty can be the same thing. Right? I’m married to a super accountant after all. I have no idea what colors these beauties will bloom, but I’ll be thrilled to see them in the early Summer. given a rainy and cold few days, how nice to think of la grande transplant! i trust you have made happy neighbors who view your visual remake. . . Thanks Nancy, We have wonderful neighbors! Lissy this sounds beautiful! Can’t wait to see them in bloom…we really do not have suffiecient cold or water here for healthy beautiful rhodos…I will have to enjoy vicariously through you! Cindy, I love every single one of them! They make beautiful evergreen hedges and also have glorious blooms in the Summer. do you know what color the bloom is? Looks happy in its new home! Jennifer, I have no idea what color they are! That is the exciting part. I hope they are white or pink, but I will adjust to whatever color they are. Looks great Lissy and they look like they have always been there. Who did the transplant? Cathy, My garden guys helped with the move.